THE new GDV Super Electron flow from DIZMA is the latest in the GDV range of horizontal packaging machines featuring self-supporting cantilevered framework and ergonomic design and is available through Heat and Control Pty Ltd .
GDV Super Electron is particularly suited for packaging food, confectionery, cosmetics and pharmaceuticals using fast sealing flexible films in a medium to high production output. The frame structure is comprised of anticorrosion aluminium which makes for a compact machine of limited weight. The GDV Super Electron has easy access to all areas of the machine allowing for an easy clean. Speed, the product phase and cutting pitch are controlled by PC and 3 servo assisted axes (which can be increased to 90) run by their respective motion control units. Interfaces for the machine can be Profibus, Sercos or Ethernet, all of which run accurately and error free. 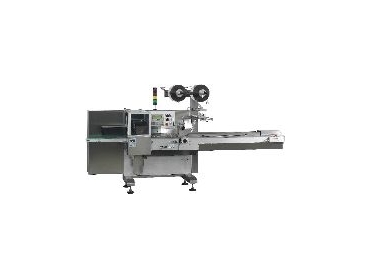 GDV Super Electron is also available with special long dwell sealing jaws in order to guarantee airtight packages for high speed modified atmosphere packaging and can be connected to DIZMA mechanical or electronic automatic feeding / pick-and-place systems.